Bela Lugosi was actually older than Count Dracula. Born as Béla Ferenc Dezső Blaskó in 1882, Bela slid into a world 126 years ago today, 15 years ahead of 1897 publication of Bram Stoker's Dracula. 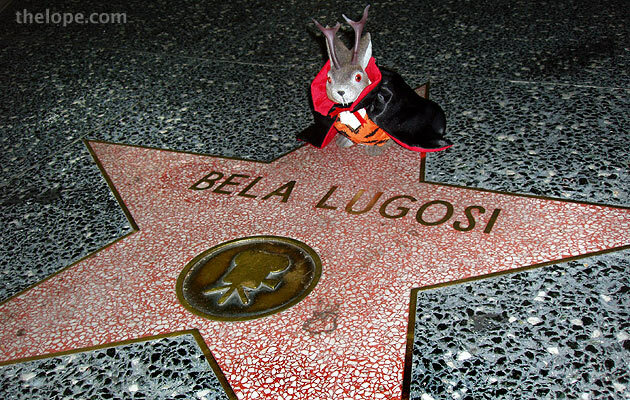 But it wasn't as much the book that would send the actor (by now, re-named Bela Lugosi) into a caped eternity as it was Lugosi's starring role in the 1927 American production of the stage play, Dracula, that began his association with the Count. The 1931 movie nailed shut the coffin on Bela's chances for diverse roles. So associated with Dracula was Lugosi that he was buried by his own request in the iconic black cape. Read more about Lugosi, and Dracula's role in pop culture in Bela Lugosi's Dead, a post we first published on the anniversary of Lugosi's death, last year. Im currently a street vendor for Big Issue mag here in Austrlia he's on the front cover of the mag at the moment 21/9/2009 through to 5/10/2009 seems to be a resurgence in interest in Hollywood horror vampire movies. Gee born October 20th-1897-its been a long time.